Sajeda’s had a good start to 2018. Four months since she arrived in Bangladesh with her 18-month-old son, she is now able to breathe a sigh of relief. “My baby is back to his old self – energetic, bubbly and always asking for food,” she smiles. A few days before 2017 ended, she learned that her son, Harech, is no longer severely malnourished. Days after the family flee violence, Sajeda noticed that her child has become unresponsive. “He was not eating and his weight dropped significantly. In Myanmar, he used to laugh a lot but since we moved here, he became sickly I thought I’d lose him,” she shares. When World Vision started its women and young child spaces, Harech was one of the first children screened for malnutrition. These spaces are dedicated to pregnant women and lactating mothers for spending time with their children below five. The women can have their children screened for malnutrition, get advice on how to boost their babies’ nutrition and connect with other mothers. “When they told me about his condition and the risks that come with it, I couldn’t sleep well,” she recalls. Severe acute malnutrition, the most visible and extreme form of undernutrition, is one of the world’s leading causes of death among children under five. While Harech’s worsening condition was heart-breaking for Sajeda, it was also hard for her husband, Suna, who used to be a community health worker in Myanmar. “I used to help other people but I couldn’t even help my own child. I knew something was wrong but we can only give him rice and lentils, not enough to keep him healthy,” Suna shares. To help address Harech’s worsening condition, he was immediately referred to the Outpatient Therapeutic Program (OTP) center where he could get proper treatment. Since then, the team has been following up on his status. “The intervention doesn’t end with screening and referral. Follow up is a crucial part of our program. Our facilitators are working non-stop to have all children diagnosed severe acute malnutrition monitored as they get proper treatment,” explains Sahadat Hossain, a World Vision facilitator. 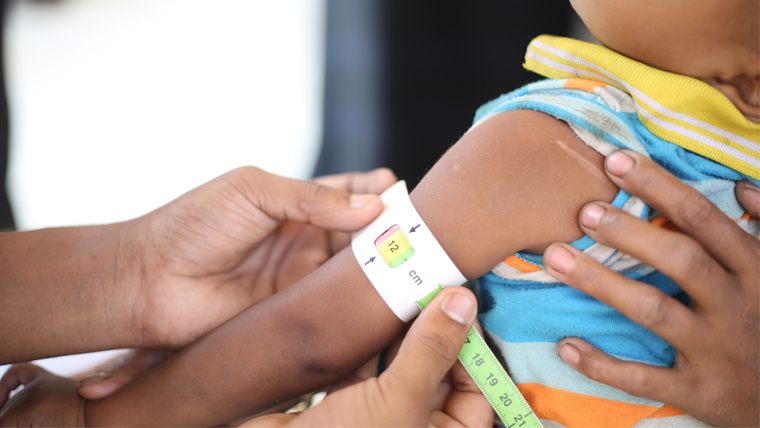 As of mid-December 2017, 18,083 children diagnosed severe acute malnutrition have been admitted to therapeutic feeding centers in Cox’s Bazar, while close to 17,000 children are still in need of treatment. Twenty-five days since Harech was screened and started getting treatment, his measurement shows that he has improved. From red zone, which means acute malnourished, he is now at yellow zone. “We are happy with Harech’s improvement although yellow still means that he is still at risk of malnutrition. The family should not be complacent,” says Hossain. The child’s improving condition has also become an affirmation to both Sajeda and Suna that despite their situation, there is much more they can do for their children. “I try my best to follow the facilitators advice. I drink a lot of water, I try to keep myself healthy especially now that Harech is back to breastfeeding. I also keep our surroundings as clean as I can.” Water, sanitation and hygiene also greatly contribute to the nutrition and health of a child. Sajeda has also started attending sessions at World Vision’s women and young child spaces where she gets further advice to better care for her children. World Vision, to date, has reached over 4,000 mothers and children under five through its women and young child spaces. 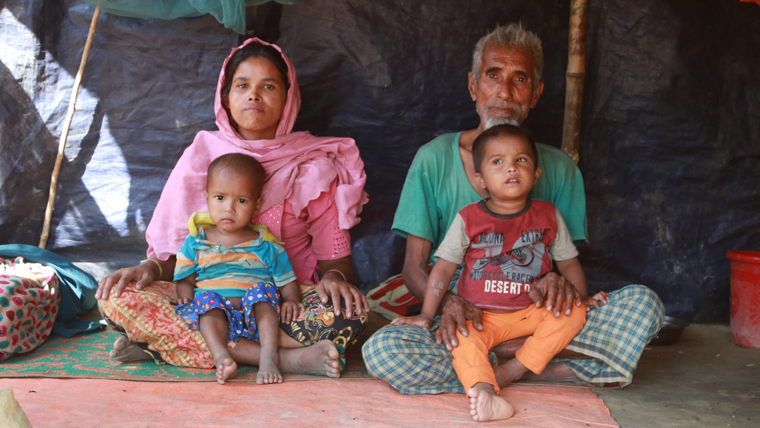 Find out how you can support our work in Bangladesh with refugees who have fled Myanmar.